In this article, we will discuss the comparison between two pain relief creams that seem to be similar, Blue Emu vs Australian Dream. As a matter of fact, they both use emu oil. Both products have received lots of positive reviews from their users. However, they actually use different active ingredients. So, which one is better for pain relief? 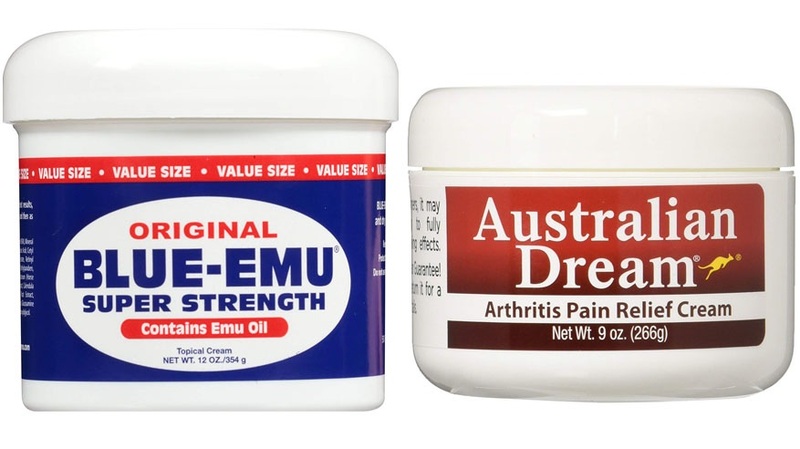 Both Blue Emu and Australian Dream use emu oil. It is said to be an effective ingredient for pain relief. So, what exactly is this ingredient? See also: Penetrex vs Blue Emu. According to WebMD,emu oil is an oil that is made from emu’s fat. Emu is a large flightless bird that is native to Australia, but it is now farmed in the United States, Canada, and some European countries as well. Emu oil is often used for making medicine. Emu oil contains fatty acids. When applied onto the skin, emu oil can be absorbed fairly quickly and easily without leaving any greasiness on the surface. It has moisturizing and cosmetic properties that are similar to those of mineral oil. The fatty acids are known to be able help to reduce swelling and soothe pain. However, emu oil has also been used for treating dry skin, wounds, sore muscles, and even high cholesterol, although it is not backed with enough scientific evidence to support its effectiveness for such purposes. Emu oil is just one of the many ingredients used by Blue Emu vs Australian Dream. Now, let’s take a look at the other ingredients of Blue Emu that make it an effective pain relief cream. The main ingredients of Blue Emu are glucosamine, dimethyl sulfone (MSM), aloe vera, and emu oil. The active ingredients are brought by the emu oil into the skin so that they can be absorbed properly. Glucosamine and MSM are highly beneficial substances for pain relief. Glucosamine is needed for repairing damaged tissue; it also has anti-inflammatory properties, so it can help to reduce pain caused by inflammation. MSM has analgesic properties and is highly effective for joint pain. Aloe vera is famous for its moisturizing and anti-irritant properties. It prevents the affected area from becoming too dry, which is a bad thing. The aloe vera content in this product helps to moisturize the affected area and enhance the healing process. Other ingredients include glycerin, mineral oil, acrylamide copolymer, stearic acid, dimethicone, tocopheryl acetate, methylparaben, propylparaben, and several plant-based extracts such as horse chestnut seed extract, calendula officinalis flower extract, anthemisnobilis flower extract, zanthoxylumalatum fruit extract, and symphytumofficinale root extract. These ingredients come in relatively smaller amounts, but they also provide beneficial effects for reducing inflammation and moisturizing. As mentioned above, despite both using emu oil, Blue Emu vs Australian Dreamuse different active ingredients. Now, we are going to take a look at the ingredients used by Australian Dream. There is just one substance that is listed as an active ingredient here, which is histamine dihydrochloride 0.025%. Histamine dihydrochloride is a salt histamine that has been used for preventing the relapse of acute myeloid leukemia (AML). The FDA has also approved this ingredient to be used for topical analgesic, as it can provide temporary relief on minor pains and aches happening on muscles and joints. It has been used for treating arthritis, bruises, sprains, strains, and simple backache. However, histamine does not exactly relieve inflammation. On the contrary, histamine increases blood flow to the affected area. So, when dealing with medium or severe inflammation and you are looking for quick relief, this product is not recommended. 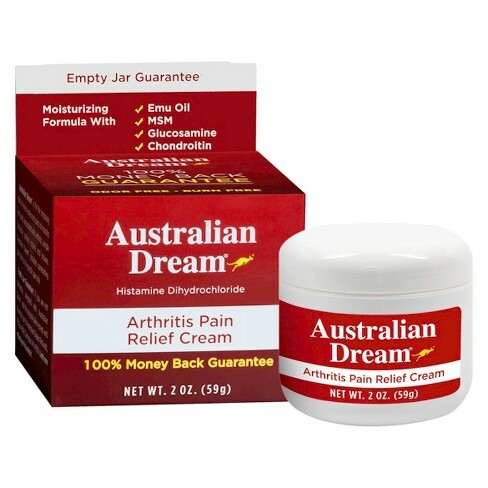 Other ingredients of Australian Dream include butylene glycol, isoparaffin, chondroitin sulfate, glucosamine sulfate, MSM, deionized water, laureth-7, polyacrylamide, sodium polyacrylate, vitamin E, trideceth-6, and sunflower oil. These ingredients are beneficial for soothing inflammation, reducing pain, moisturizing, and promoting the healing process. Blue Emu has received lots of positive reviews. According to the users, Blue Emu is effective for reducing minor pain and providing relief. It is effective for sore muscles, joint pain, back pain, arthritis, and even carpal tunnel syndrome. When dealing with minor pains, the relief is delivered quickly. When dealing with more severe inflammation, the relief is not immediate, but it still helps in the long run. 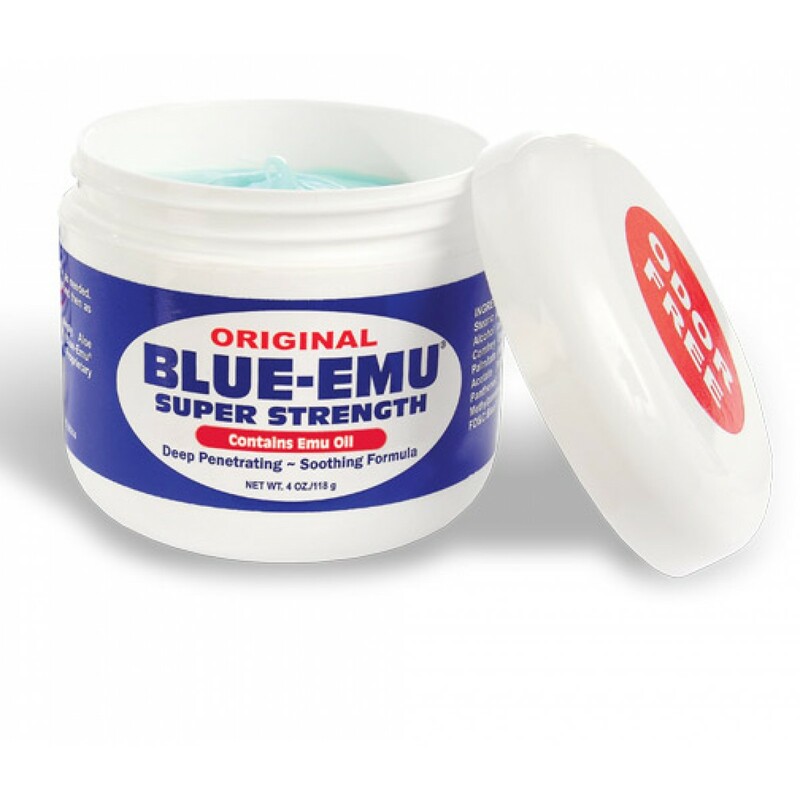 Blue Emu should be applied 2 or 3 times daily for at least 2 weeks. You may use as much cream as needed. The cream does not have any odor, and it does not leave any greasiness on the skin surface, so the application is very convenient. Australian Dream has also received lots of positive reviews. It is suitable for minor pains happening in the muscles or joints. The application is also convenient, as it doesn’t have any odor or greasiness. It doesn’t cause any burning sensation on the skin. However, it does not deliver significant relief when dealing with inflammation, even though it does help with the healing process in the long run. Most people don’t experience any side effect when using Blue Emu or Australian Dream. However, you still need to check the ingredients carefully to make sure that you are not allergic to any of them. Some people may experience allergy reactions to some ingredients. The symptoms include itchiness, rash, headache, and difficulty breathing; if you get any of these symptoms, you should stop the usage immediately. Australian Dream may cause hotness on the affected area. This is because it increases the blood flow in the area. Some people may find this uncomfortable. In general, Blue Emu is more recommended. It comes with great ingredients that are effective for providing pain relief and promoting healing. It is convenient to use, as it is odor-free and non-greasy.